Last May, the city council voted 3-2 to adopt an ordinance that allows an inspector to enter and examine rental units to determine if the properties are safe and habitable. The ordinance also requires landlords to pay a fee to fund the program. Mayor Jan Marx, Councilman John Ashbaugh and Councilwoman Carlyn Christianson support the program. 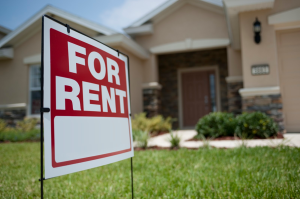 Councilmen Dan Carpenter and Dan Rivoire voted against the rental inspection program, and at a council meeting Tuesday, they said it must be discontinued. Several local attorneys are considering filing a lawsuit against the city over the program. Under the ordinance, single-family homes, duplexes and granny units are required to be inspected. Apartments are exempt, but they must be inspected by the fire department for fire-related concerns. City staffers have already registered 3,130 units in the rental inspection program. Staffers exempted 714 units and granted amnesty to 44 units. Amnesty gives property owners time to bring units up to code or to obtain building permits for work that was completed without city permission. On Tuesday, the council voted 3-2 to extend the amnesty period six months to Jan. 13, 2017. Carpenter and Rivoire cast the dissenting votes. More than 20 opponents of the program spoke during public comment at the council meeting. A total of more that 5,000 units in the city are likely eligible for the rental inspection program. The owners of a total of 1,644 units have not responded to city letters notifying them of upcoming inspections. Thus far, only seven rental inspections have occurred. Five units passed inspection and two did not. One property owner must complete minor fixes and one must obtain a building permit. In turn, if the city is so worried about renters being in a safe environment, then that precludes that the city should also be worried about actual owners of homes that live in them to make sure they also live in a safe and habitable environment. Not to be hypocritical for one’s safety, then the city should inspect all dwellings in San Luis Obispo so as not to be hypocritical to their specious dumbfounded ordinance! Another money grabbing scheme, what’s new? We get the government we deserve. We keep voting for people that would use the bill of rights at toilet paper. No respect for law what so ever and absolutely no understanding of economics. Jan and politicians like her want to rule not govern. Big difference between the two.